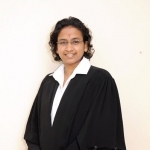 Established in 1985 as M/s Kalamohan & Co., our firm has a history and strong presence in the Singapore Legal field, especially with the Indian Community. Over the years we have handled thousands of satisfied clients in all areas of the law, including Family, Criminal and Civil. We have also represented clients in the full spectrum of Courts in Singapore, in the Family Court, State Courts, High Court and the Court of Appeal. We have a fixed fee arrangement for 100% uncontested divorce matters, where the parties agree to dissolve the marriage and settle the issues of custody, care and control, access and division of matrimonial assets without resorting to litigation. We will help you obtain divorce by conducting the trial. We will help you to fight for the division of assets, properties, and custody of the children. We will advise you on the merits of the case and means to preserve your assets legally. We will advise you on the law and remedies available. We also provide mediation services for couples who wish to resolve their differences in a friendly environment. When can you apply for a divorce? You can apply for divorce only after 3 years from the date of marriage. If your marriage is within 3 years, you must obtain court’s permission to commence the divorce proceedings. The court permits only in exceptional circumstances, such as, exceptional hardship suffered by the spouse or exceptional depravity by the other party. What happens when your spouse files for divorce? Your spouse may file for dissolution of the marriage on the above grounds. You will be served with divorce papers and you are required to enter appearance within 8 days after the date of receipt of the divorce papers and 22 days after the receipt of divorce papers you must file for defence (if you do not wish to divorce your spouse) or file a defence and counterclaim if you wish to divorce based on your reasons or your version of facts. How do you settle the custody, care and control and access of the child of the marriage? With effect from 01/10/2014, if your children or either child are below 21 years of age, the court will arrange for a Child Focused Resolution Conference to settle the issues of custody, care and control, and access, and the issues pertaining to maintenance of the wife, children and the division of matrimonial properties and matrimonial assets. The court will hear the parties and make a suitable order for custody, care and control, and access, maintenance of the wife and the child, and the division of matrimonial properties and assets. It is possible to settle the issues through mediation if both the parties agree to negotiate and settle the matters. In what circumstances, a husband or a wife would want to nullify the marriage? If either the husband or the wife refuses to consummate the marriage or if the wife was pregnant with a child due to a third party which the husband was not aware of at the time of marriage, or if either party was suffering from a venereal disease, or if either party was incapable of consummating the marriage, the husband or the wife may apply to declare their marriage null and void. What happens when your husband or your wife abducts your children to another country? Singapore is a party to the Hague Convention for International Abduction. If the country to which the children were abducted is a member of the Hague Convention, then the children will be stopped by the airport authorities to enter the foreign country and they will be returned to the home country. If the country is not a member of the Hague Convention, you must file an urgent application seeking an order to produce the children under the Guardianship of Infants Act. What can you do if your spouse is violent or abusive? You can apply for a personal protection order and/or domestic exclusion order. This is a quasi-criminal complaint. What can you do if your husband refuses to provide maintenance? You can apply for maintenance for yourself and your children. This is a quasi-criminal complaint. What happens when your spouse tries to dispose off the properties or assets to prevent you from claiming your share? You can apply for an injunction to freeze his bank accounts and to prevent the sale or register a caveat on the immovable properties which will preclude the buyers from purchasing the properties. We will advise and prepare the necessary documents for you to recover your money from the other party or to defend a claim by the other party against you, as the case maybe. We will advise whether your contract has been breached, what are the remedies available to you according to your contract and under the law. We will conduct and commence the necessary proceedings for you to obtain remedies and justice under the law. We also arrange and conduct without prejudice meetings between you and the other parties to negotiate and explore the possibility of an amicable settlement. We will assess the situation and advise you whether there has been a breach of fiduciary duty and what are the remedies available to you as an individual or as a Company against the other parties. We also arrange and conduct without prejudice meetings between you and the other parties to negotiate and explore the possibility of an amicable out of court settlement. We will advise and prepare both simple and complex agreements to protect your interest and rights. We also arrange and conduct without prejudice meetings between you and the other parties to negotiate the terms of the Agreement. If you are the Employer, will advise you whether your employee has been acting in breach of the employment contract and the employment law in Singapore. We will conduct and commence the necessary proceedings to protect the confidentiality of your company information and clients. If you are the Employee, we will advise you whether your employer has acted in breach of the employment contract and the employment law in Singapore. We will assess the situation and advise you whether your employment has been unfairly terminated and whether there is any outstanding monies your employer owes you under your employment contract or under the law. We also provide arbitration services for parties who do not wish to pursue their matter in the Courts and who are bound to bring their disputes to arbitration as per their contracts. We also provide mediation services for parties who wish to resolve their differences in a friendly environment. We undertake all Criminal cases from the time a person gets arrested upto the time he is charged in Court and to the conclusion of the matter. Thereafter, appeals are also undertaken to the High Court. Bail Applications will be made to the Judge in State Courts and if necessary to High Court. Bail Review will be done if you cannot afford the bail granted. Representations will be done to the Attorney General Chambers to request the Prosecution to reduce the charge, withdraw the charge or for negotiations on possible sentences. Mitigation pleas will be done when you plead guilty. We are registered with the The Law Society’s Criminal Legal Aid Scheme (‘CLAS’) which provides criminal legal assistance to the poor and needy who are unable to afford a lawyer and under the Legal Assistance Scheme for Capital Offences (‘LASCO’) which ensures that all persons facing capital charges in the High Court are ensured of legal representation. What to do when your loved one is suspected of being arrested? If you know the Police Station or the Investigation Officer contact them or go to the Police Station. If you do not know, contact our office we will obtain the information for you. Can you take out on bail from Police Station? In some cases yes; we will obtain bail information and help you bring out the person on bail. What is Police Custody without bail? Some serious offences or if suspected of committing other offences police will ask for custody without bail for 1 week at a time. Usually a Singapore Citizen or Permanent Resident can be a bailor. Can the accused leave Singapore while on bail? The accused cannot leave Singapore whilst on bail unless the Judge gives permission. Can you talk to the witness or complainant? The accused and his family members cannot talk to the complainant and his witnesses. Can my family visit me in remand? Yes, your family can visit you in remand. After the case, can my family visit me? Yes, your family can visit you after the case. What documents to being when seeing a Lawyer to obtain a Grant? Identity Cards of all the Beneficiaries. When a person dies, he will leave behind money in the bank, his flat and other things. He may or may not have made a Will. Somebody from the family, the spouse, children or parents must see a lawyer to obtain a Court Document known as Grant of Probate (if there is a Will) or Grant of Letters of Administration (if there is no Will). After obtaining the Grant of Probate or Grant of Letters of Administration, we also will obtain the money from the bank for you. We will assist in distributing to the beneficiaries and obtain receipt for you. We will do all the work for you from A to Z and make sure you do not face any issues or problems. If there is a flat or house we will transfer it to the beneficiaries name. If the property must be sold, we will do the sale for you, by appointing agents, doing the valuation, and after selling, distribute the proceeds of sale to the beneficiaries. If there are shares, we will transfer it to the beneficiaries’ names, they can choose to keep the shares or sell them. If you have already obtained a Grant of Probate or Grant of Letters of Administration in another Country and want to use that Court Document in Singapore, that document must be resealed in Singapore Courts. When a person dies leaving property in India and the beneficiaries are in Singapore, the Indian authorities require a “WARIS CERTIFICATE” known in English as an Inheritance Certificate. We undertake the preparation of the document. After a person dies, you need to gather his assets and distribute to his beneficiaries. You should not do this without a Court Document known as Grant of Probate or Letter of Administration. You need a lawyer to assist you in obtaining this document for you. Who must see a lawyer? The family members of the deceased person or the person named as Trustee in the Will. Can you distribute without a Grant? It is not advisable to distribute without a Grant of Probate or Grant of Letters of Administration as the responsibility is great and the distribution if challenged will cause problems of accountability. So it is unsafe. We provide Notary Public and Commissioner for Oaths services in English and Tamil Languages (including interpretation where necessary). Please email us at enquiry@kalamohan.com or contact our office at (+65) 6227 9377 to fix an appointment before attending to our office to ensure the Solicitor is available. We will prepare the deedpoll and it can be executed by you on the same day before us. Please email us at enquiry@kalamohan.com or contact our office at (+65) 6227 9377 to fix an appointment before attending to our office to enquire what documents to bring and to ensure the Solicitor is available. We will assess your needs and advise and prepare the Statutory Declaration accordingly with the information provided to us. Please email us at enquiry@kalamohan.com or contact our office at (+65) 6227 9377 to fix an appointment before attending to our office to enquire what documents to bring and to ensure the Solicitor is available. We will prepare power of attorney documents relating to HDB properties (residential and commercial) and private properties for use in Singapore, according to your needs. We will also prepare power of attorney documents relating to overseas properties (eg. Indian properties) for use overseas, according to your needs. Please email us at enquiry@kalamohan.com or contact our office at (+65) 6227 9377 to fix an appointment before attending to our office to enquire what documents to bring and to ensure the Solicitor is available. We will advise and prepare the necessary documents for you to sever your share in a property held as joint tenants with other parties to one held as tenants in common to protect your interest and share in the property. We will assess the situation and advise whether an application for the appointment of deputies is necessary. We will prepare and commence the necessary proceedings for the appointment of the deputies to safeguard the your rights, interests and needs. We will advise you of the procedure and prepare a Will for you. You need to provide us with information on your assets, what you have, who you want to give to and how you want to divide so that we can prepare the Will for you. We can do it in 2 days for you. If you want the Will prepared on the same day,it can be done as a special service provided you have all the necessary information. We will also advise you on the safekeeping of your Will. 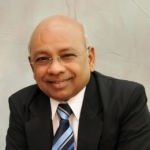 Mr R Kalamohan is the Managing Director of the firm. With over 30 years of experience as an Advocate and Solicitor of the Supreme Court of Singapore, he has vast experience in all types of litigation work, be it Family Litigation, Criminal Litigation or Civil and Commercial Litigation. He has also represented clients from the State Courts to the Court of Appeal in all types of Litigation, including Family and Civil. Prior to 1983 he was an interpreter in the Judiciary, Singapore. Mr R Kalamohan is also the Legal Advisor to various organisations including the Singapore Tamil Teacher’s Union. Always ready to assist, he has been sharing his legal expertise with the Tamil population by speaking on law issues and explaining them for many years over the radio, since mid-nineties. He still has a programme on Oli 96.8 FM every Saturday morning between 9.00am to 9.30AM. He has written 2 book in Tamil “The Law and You” which was published in 2000 and “The Law and Incidents” published in 2013. The English Edition of “The Law and Incidents” is due to be published in December 2014. Elavarasi’s main area of practice is Civil and Commercial Law, including Motor Accident claims. Please subscribe for lates News and Updates.